… by the power of the words of A.S. Byatt. 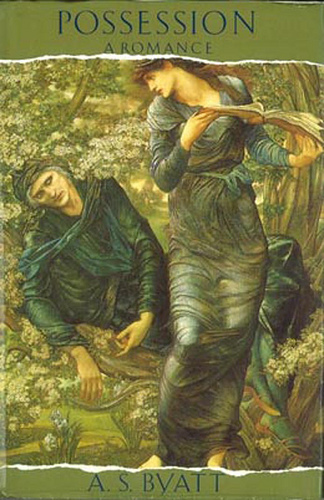 I already shared with you my thoughts on A.S. Byatt’s Possession, how the novel leaves me overwhelmed with inadequacy. But tonight, at the Half Price Books Humble monthly Book Club meeting, I got to discuss with others how it made them feel. Over a strawberry cream cheese coffee cake, we talked a lot about French mythology, feminism, the Victorian era, the roaring twenties (a discussion that branched out of our feminism discussion), human nature, and more. There is so much to talk about in this book, so much material, so many memorable quotes, I found it exhilarating that the things I wanted to discuss were things someone else wanted to discuss too. When I asked about favorite quotes from the book, a typical book clubbish question, it was exciting to see that Henry had underlined the same quote on page 39 that I had. What are the odds? The quote is about the fabricated poet Christabel LaMotte and her poem about Melusina, and in hindsight it doesn’t necessarily stand out that much from the other wonderful quotes to be found in the book. However, it is so close to the beginning that you wouldn’t know that so many amazing bits of prose are to come. I think I had initially underlined it, supposing (correctly) that it would equally describe Christabel’s poem and Byatt’s work as a whole. There is tragedy. There is romance. And the symbolism is rampant all over it. The idea of cleanliness, purity, and the color white intermingle with Victorian era ideology while also contrasting against the deviance of feminism in bold greens, crimsons, plums, and blues. What is so interesting about all this symbolism with color, is that like it’s themes, that the white and the color overlap so effortlessly, so surprisingly, when the final work is complete it is hard to decide where you would want to end up – with the pure white? or the passionate color? It seems as though to be complete, there would need to be both. One of the marks of the finest Pre-Raphaelite work was, and still is, the exciting and disturbing power of its colour — very much the least naturalistic aspect of the new painting. The painters of the Brotherhood, and their associates, went beyond the frank record of the green trees and grasses, the bright pure hues of flowers, and reintroduced into painting ranges and relations of colour unused in European art since the Middle Ages — an alarming array of blues, greens, violets, purples, used not simply because they were there to be painted, but chosen for their powerful emotional effect. It was not of course simply the colours, but their combination, that compelled and provoked these effects. Dondershine stresses the word combination with good reason. Would any of these paintings speak to us visually and emotionally even half as well if the lights and darks were not so opposite and vibrant? If the color was not so colorful and rich, if the white was not so stark? Would Maude be so fascinating if she wasn’t so broken by Fergus? 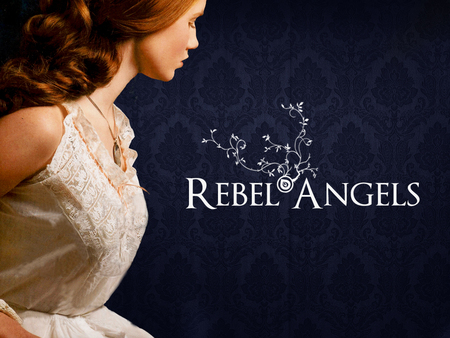 Would Christabel’s story be quite so passionately romantic if she hadn’t been a virgin before Ash? Would the story have meant so much if their love hadn’t been somewhat forbidden? At the same time, doesn’t her fate make you think twice about her rash haste to be independent? Doesn’t the idea of freedom being found within the safety and confines of a marriage, a partnership become solidified when viewed in the severe contrast of Christabel’s dependency on her cousin later in life… when seen how famously Roland and Maude get along? Then there is Melusina. Melusina, the story actually being described in that oh so telling page 39 quote. I had never heard of Melusina until this book. I am now completely captivated by the French version of the Scots selkies, the Ondines/Undines of the world; except instead of being a beautiful and gentle seal-woman, Melusina is a serpent of the water-sprite variety. Now, of course, I am dying to get my hands on a compilation of French myths, equipped with illustrations throughout history, of course! All in all, it was an exciting meeting, and left me much to ponder. 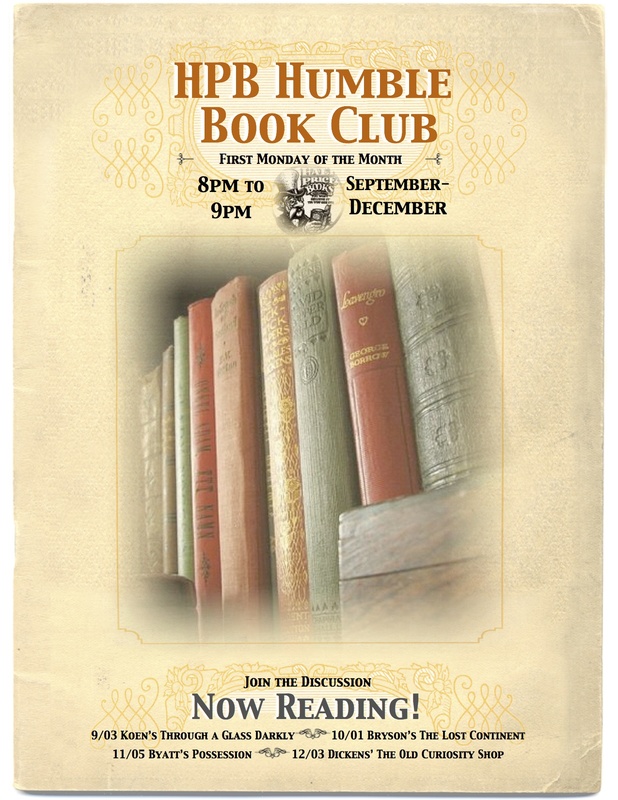 I cannot wait until next month’s gathering when we will discuss Charles Dickens’ The Old Curiosity Shoppe. 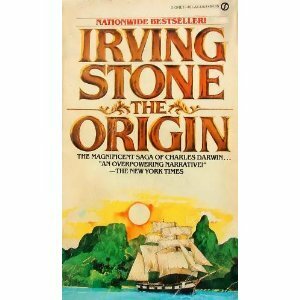 Irving Stone presents a very cheerful, almost carefree, narrative of Darwin’s life. Friendships are dwelt upon, discoveries are glorified, and opposition breezed over. Even the death of Charles and Emma’s third child is skipped over with a mere page and a half of detail. Despite being an enjoyable novel, its astonishing how much humanity is lacking in the description – it has the feel of a 1950’s family sitcom, Leave It to Beaver meets the Darwin family in Victorian England. I like Irving Stone’s version of things, however. It gives a detailed time line of publications and events. Its a good source to use as an introduction to the study of evolution: names, dates, and important essays, journals and other writings are handed to you chronologically on a silver platter so that you can jot them down and do additional research afterward. The book is quite clever, actually, sidestepping every controversy and smiling noncommittally. “They established a routine in which everyone fitted harmoniously,” (from book nine: the Whole Life) seems to be the theme of the book, rather than the development of the theory of evolution. It is full of lines like: “The Manuscript on Volcanic Islands moved along felicitously.” Even through his many illnesses and the death of his two daughters, Charles Darwin seems to have led a very charmed life. Delightful, though predictable, Bray’s second novel in her magical realms series was an exciting and fanciful Christmas adventure. The sequel is much more intriguing than the original piece. I found myself more drawn in to the lives of the girls of Spence while on their Holiday Vacation than I was with their previous escapades at school. Over all, well done and I look forward to Part Three in the trilogy.